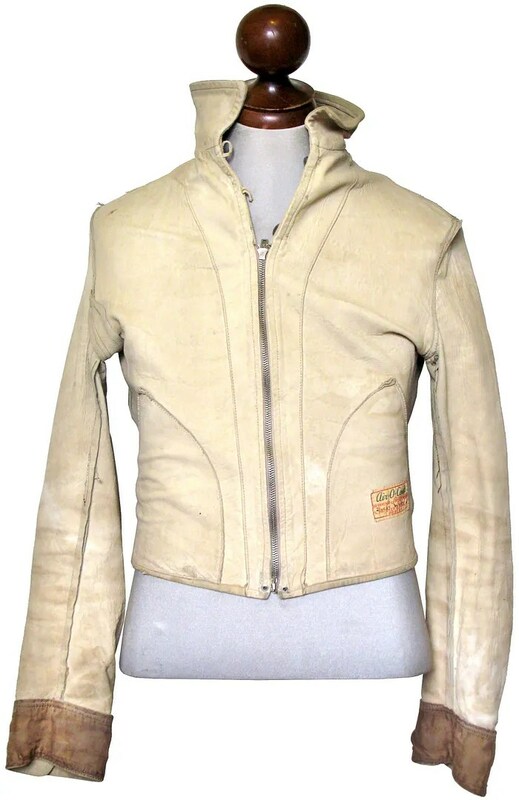 This vintage leather jacket was made c.1936-1937 by A. Pritzker & Sons, Inc. of Boston, MA. 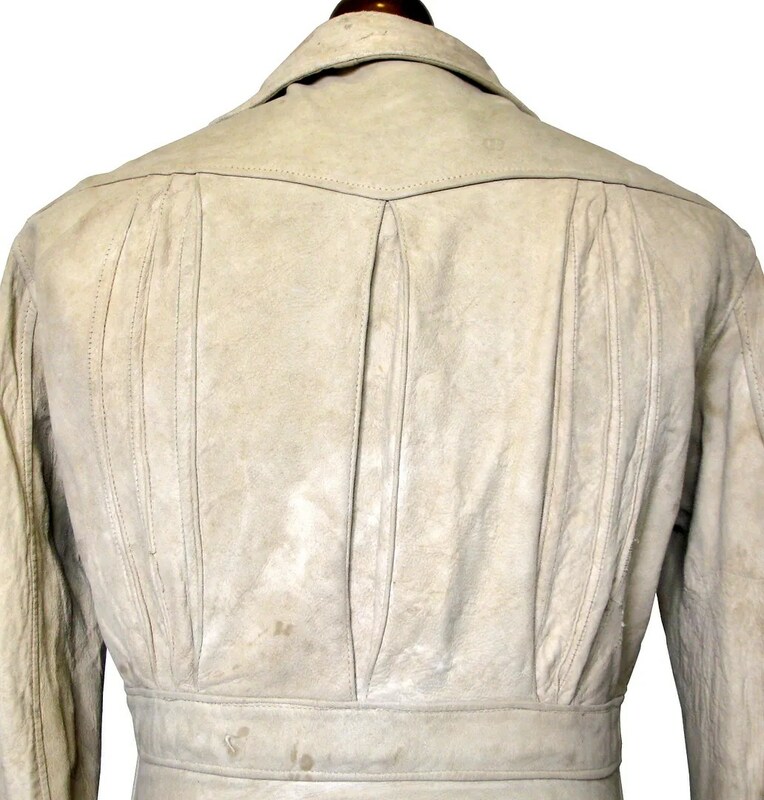 The jacket is a Cossack style, with a fancy belted back. 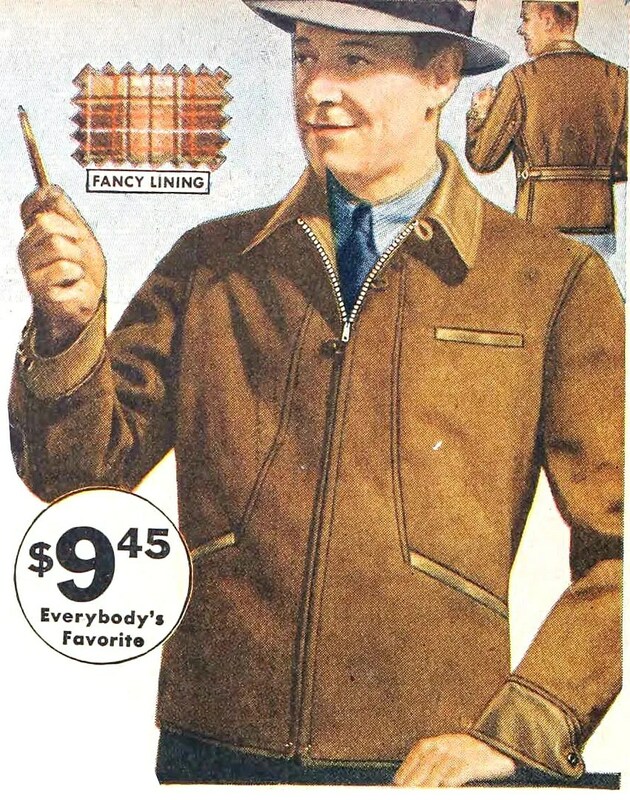 The 3/4 zip with 1/4 button detailing, borrowed from “Gaucho” style shirts of the period, enjoyed a brief stint of popularity in 1936-1937 before falling out of favor. 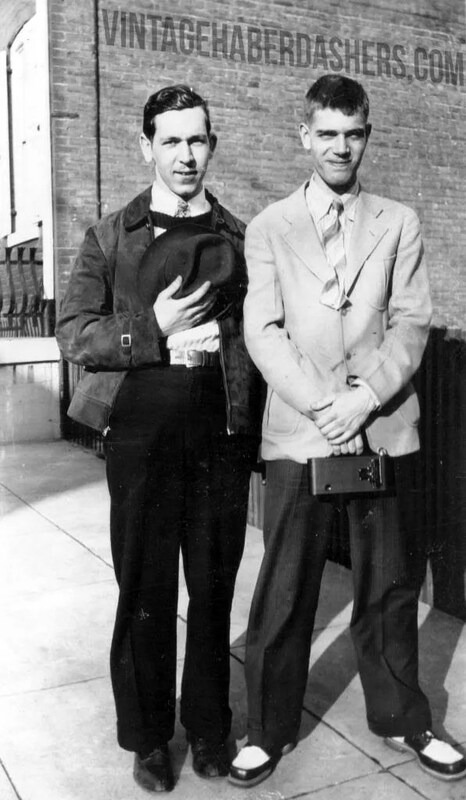 Pritzker & Sons was owned by Aaron Pritzker and had a factory at 1020 Washington Street, Boston, MA. 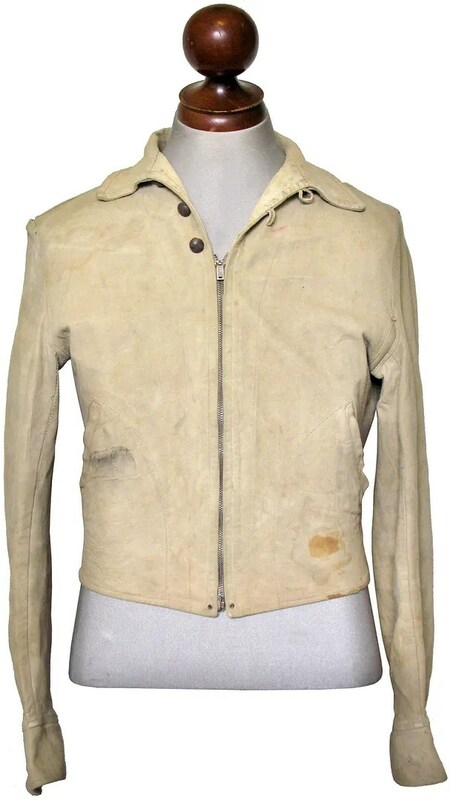 They are probably now best known for their USN G-1 flight jackets, although prior to WWII, they were a prolific maker of civilian styles. 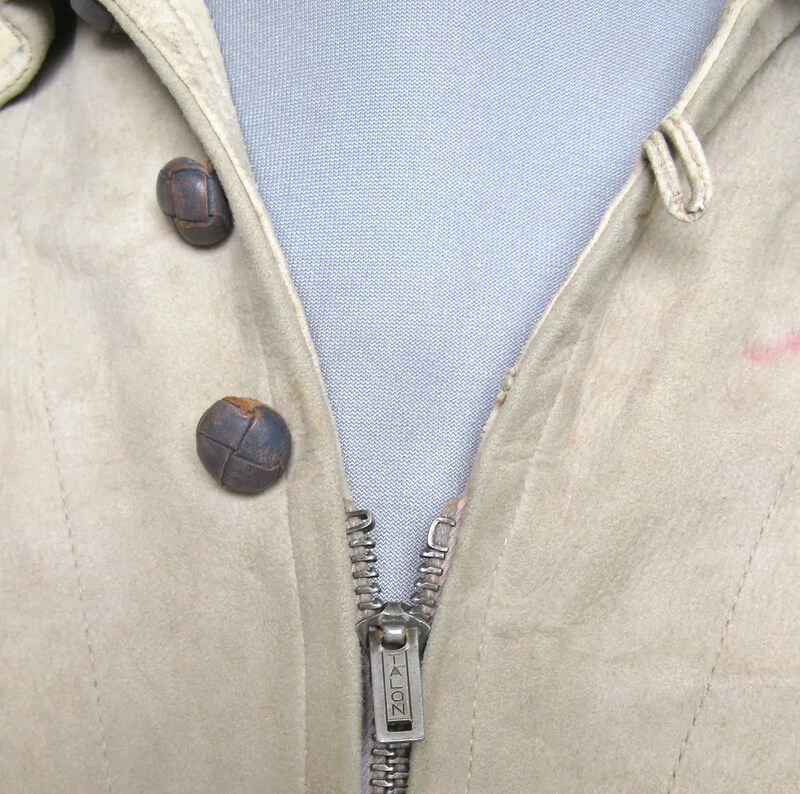 This one was sold as the “Air-O-Coat”, conjuring up the romantic imagery of 1930s aviators. 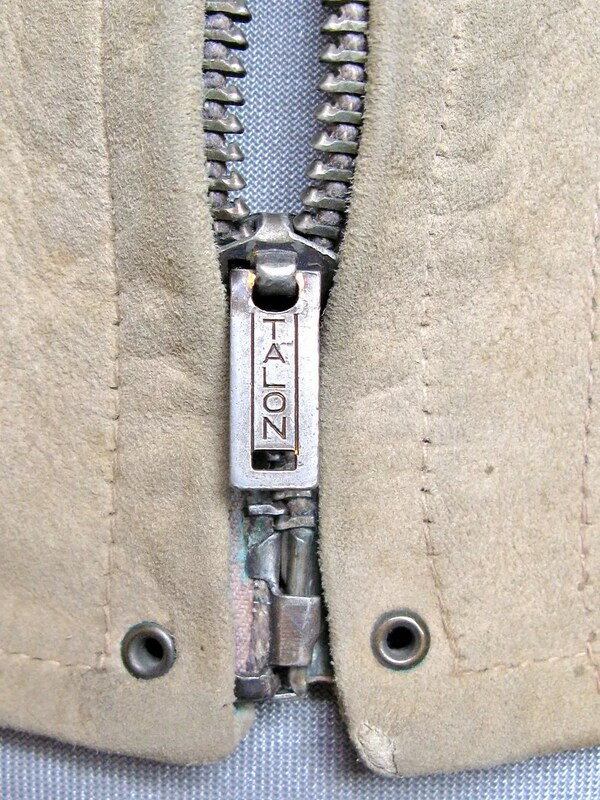 The jacket has an early Talon Hookless style grommet zipper.. 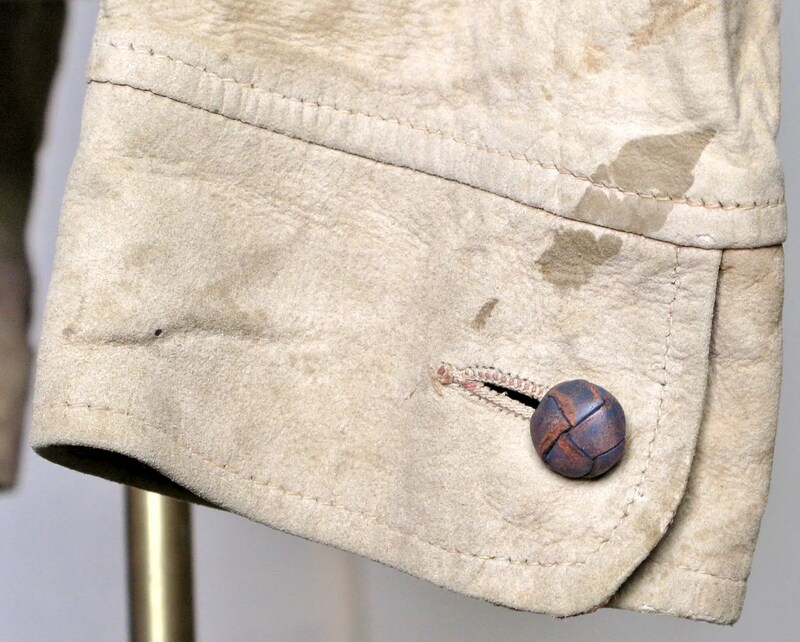 The jacket is lightweight and partially lined, as is typical of these early windbreaker styles. The shoulder yoke is lined, as are the cuffs. It has a half-belt back with one of the fanciest pleated back styles I’ve seen. 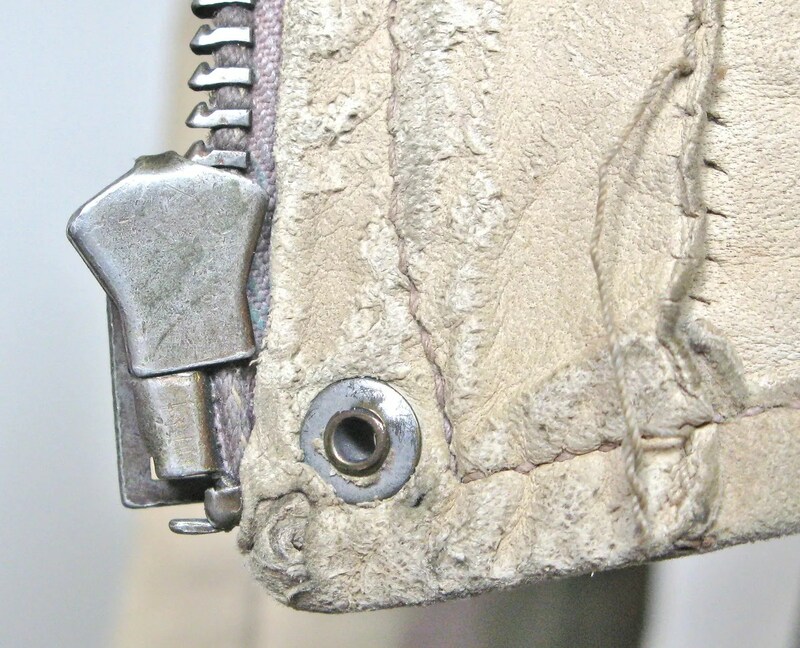 Pockets are D-style due to the unlined construction. 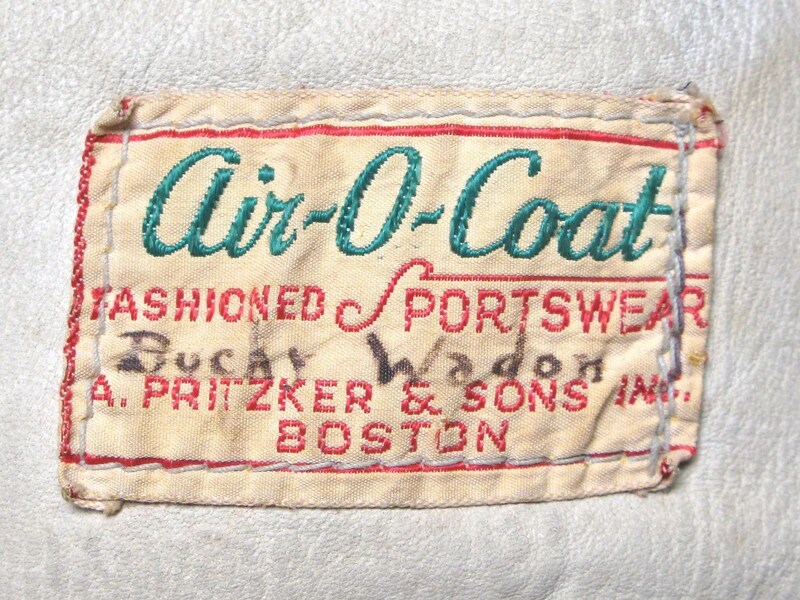 The jacket was bought by Bucky Wadon around 1937. 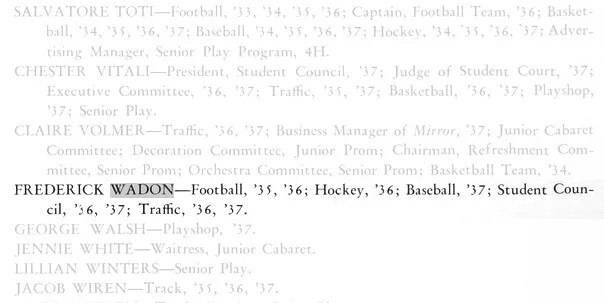 Wadon played football, hockey and baseball during the 1930s and served in WWII. 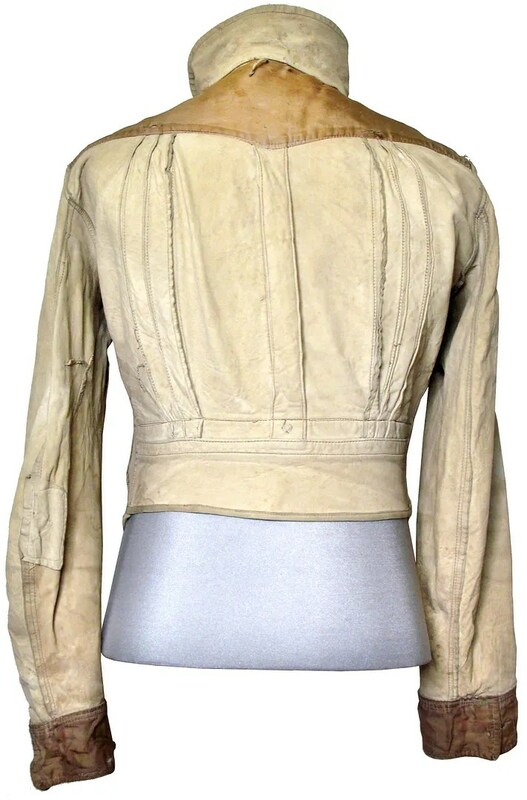 With a 42″ chest measurement, this would best fit someone who wears a size 36 or 38 jacket. The sleeves are uncommonly long for most jackets I’ve found from this era, perfect for the taller guy. 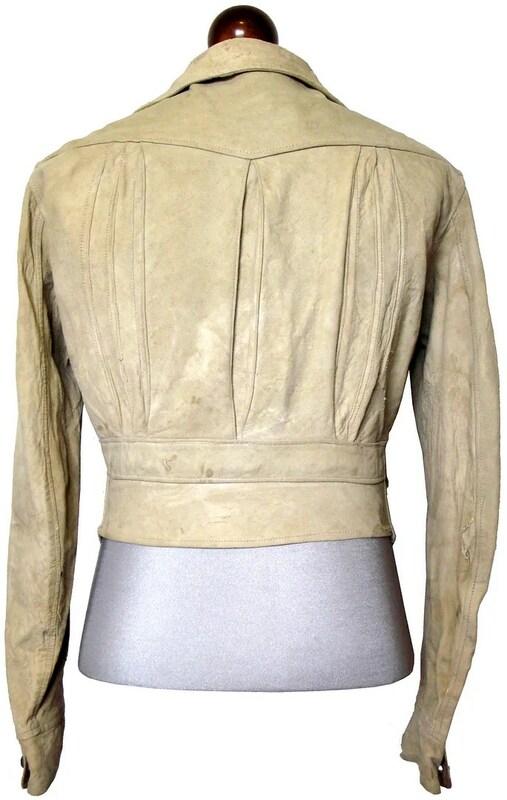 The leather is still soft and supple and the jacket is still very wearable.